The golden sun touches down on the sunburnt region of Andalucía. Adorable pueblos blancos – or white villages due to their white-washed appearance – dot the landscape among scattered scrub bushes clinging to the rugged Sierra Nevada mountains. 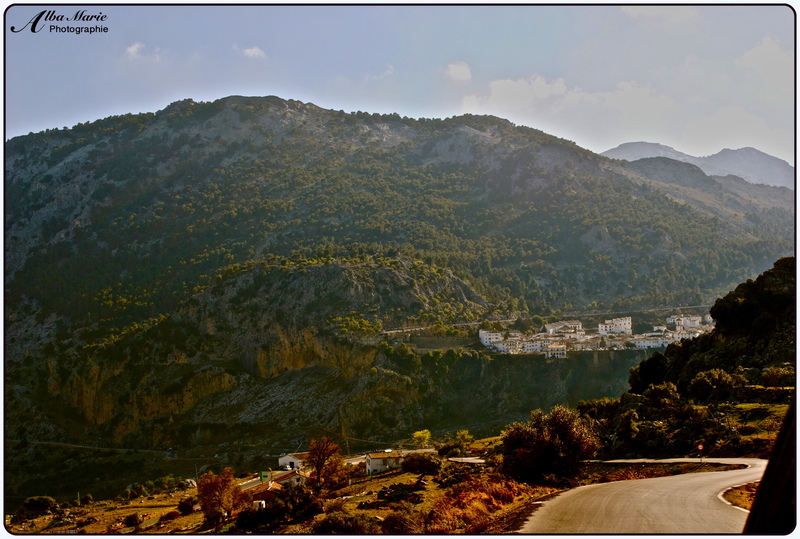 Grazalama, like the previously mentioned Zahara de la Sierra, is one of these such ‘white villages.’ Quaint yet lively, Grazalama – like the majority of the pueblos blancos – emits the true spirit of the region: local tradition seeped with food, drink, dance and merriment. Here, take a step back in time to forgotten generation. Take a step away from the glitz and glam of modern, fast-paced European cities like Madrid and London, Paris and Oslo. Instead, take a moment to relax under the warm Spanish sun with a cold cerveza in hand, plates of tapas – fresh seafood, various types of pork, local veggies, to-die-for olives, you name it – in front of you, while the sounds of upbeat Spanish music make your feet try to dance. Your chosen restaurant is located in a building older than your great-grandmother. Miniature shops selling local wares line the square. People chat happily away in rapid-fire Spanish in animated conversations necessitating many hand-gestures. Glasses clink, bells toll, and smells of something savoury waft from the kitchens. As the setting sun warms your back, you realise you found a miniature paradise deep in the heart of Andalucía. I’ve actually taken some of my favourite photos from car, train or bus windows, due to having a camera with a high shutter speed. Probably my most lucrative drive picture-wise was my trip driving through Andalucía, a beautiful province laying at the bottom of Spain. 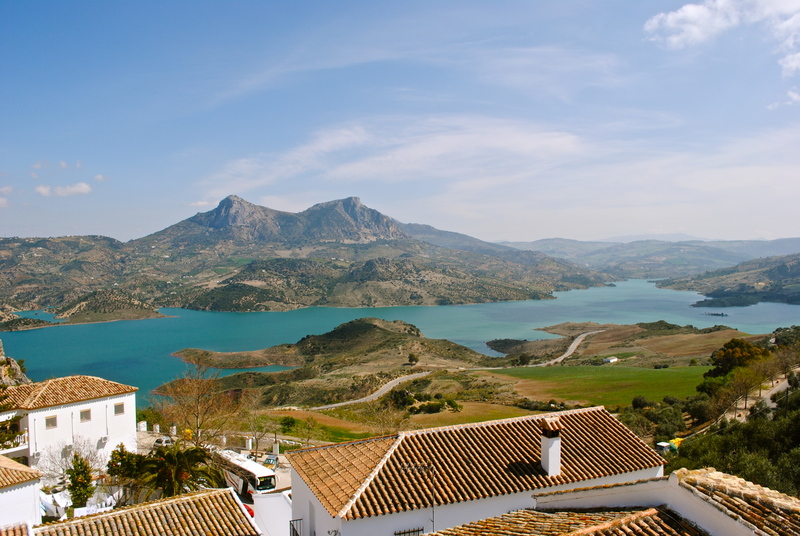 Andalucía is surprisingly mountainous; roughly 15% of the region reaches above 1,o00m (or 3,300 ft). It also has Iberia’s highest mountains in the Sierra Nevada’s. 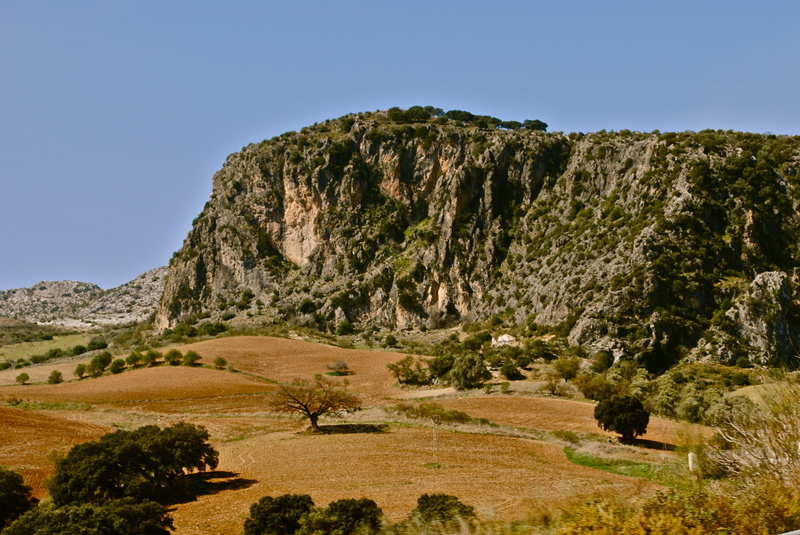 The Sierra Morena range separates Andalucía from the plains of Extremadura and Castile–La Mancha, though this range isn’t terribly tall (the highest peak, La Bañuela, only reaches 1323m or 4314 ft). It is, however, very dramatic and very beautiful. The scenery is rugged, natural, bright, colourful, unscathed. Yellowed and browned by the infamous Spanish sun, this is a part of Spain only partially inhabited, and even then, most of human conglomerations are the teensy – but breathtakingly gorgeous – White Villages (Pueblos Blancos). Whether you crave rugged terrain, picturesque town, or local dishes and drinks, Andalucía is not a place you should miss! So-named because those mountains in the distance are the original Sierra Nevadas (before America stole that name too), pretty little Zahara is considered to be on the pueblos blancos or “white towns” that form a belt across the Spanish region of Andalusia. Recommended to us by the locals as “one of the prettiest places you’ll ever see,” this photo is taken from a balcony in a house at the top of the mountain that is town. This could’ve been our home-away-from-home (if we’d bought the flat that came along with it) but alas, I’ll have to be content with the pictures. This lake is actually man-made (from a dam). The town was originally a Moorish outpost when it was still controlled by the Moors, and they built this castle atop the hill to protect the route between Ronda and Sevilla. It’s gorgeous!